There is a sweet lady at church that worked in a daycare for years prior to having her own children. Now that she has children of her own, I see some of the things she does with them and amazed. I just attributed it to her daycare experience but then realized that she gets some great ideas from people she follows on instagram. So I picked two and began following them myself because I want to be a wonderful grandmother some day. At any rate, I thought I’d share with you the two that I follow but don’t worry if you don’t do Instagram because one of them has a great website full of the same ideas. This is the one that has both a website and an Instagram account. She has so many wonderful ideas that you can spend A LOT of time viewing all the ideas she has posted. Sensory Bins: I know this can be a bit scary because of the possible mess but she has some great tips and inexpensive ideas on how to get started (think Dollar Tree ). And how to get started even with those that are younger. Dot Stickers: I have seen so many dot sticker ideas on the two Instagram accounts that I follow and wonder why I never knew about these ideas when my kids were young. Dot stickers are inexpensive and can be used to help your child with fine motor skills. I know my grandson loves stickers so this kind of activity is right up his alley. Here is one activity she shared but there are many more. Bath Time Fun: I remember when my children were younger I’d found an article that said to Find the Fun in what Needed to be Done. Well, this seems to go hand in hand with that philosophy. This link is a round-up post of bath time fun ideas. So Much More: She also has ideas for math, science, literacy, and art, as well as fine and gross motor skills. Links can be found on her homepage menu. Molly has some great ideas too. 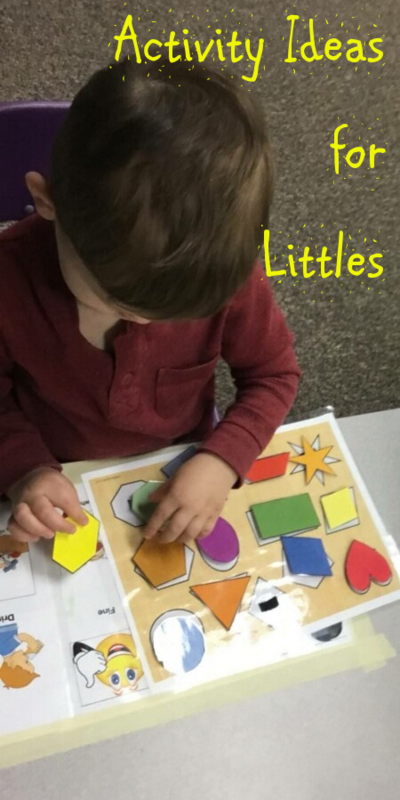 There are ideas for sorting, shapes, painting, sensory bins, dot stickers and more. There are sooo many good ideas on Pinterest, Instagram, Facebook, and the internet in general. My advice to you is to pick one idea and try it. Don’t overwhelm yourself with a ton of research and ideas. Pick one or two and do them.